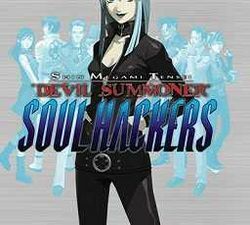 Shin Megami Tensei: Devil Summoner: Soul Hackers, known in Japan as simply Devil Summoner: Soul Hackers, is an RPG developed and published by Atlus. It has seen three releases in Japan, on the Sega Saturn, the PlayStation, and finally on the Nintendo 3DS. The 3DS release is the only one localized into English for players outside Japan. This page was last edited on 8 June 2016, at 10:25.